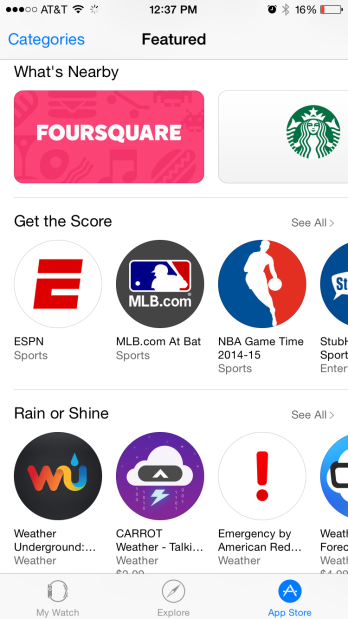 Apple Watch App Store Goes Live! 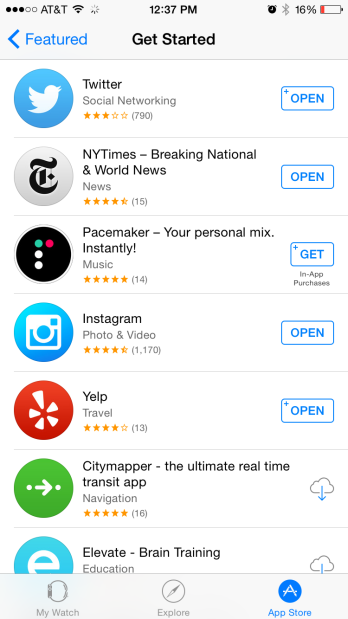 As Apple Watch owners prepare themselves for the device’s release, the Apple Watch App Store just gone live. Featuring games and utilities compatible with the device, it’s a one-stop solution for anybody owning the Apple Watch, and you can get a closer look at the screenshots and details below. It took a while for the iPhone to get its very own apps portal for third-party developers to add their own content, but sure enough in 2008, the App Store was born. Since then, it has grown at an incredible rate, boasting hundreds of thousands of different apps that cater to all, and with app makers having already prepared thousands for the Apple Watch, those of you who’ve already pre-ordered will have a broad selection to choose from. It was first leaked a few hours back that the Apple Watch App Store would be going live at some point today, and in the last few minutes, Apple seems to have flicked the switch. Operating just like the traditional App Store app, circular icons are shown to match the interface of the Watch’s software, and when you are browsing the usual App Store, any apps compatible with Watch are denoted as such in the description (see first screenshot). As with iPhone and iPad apps, you get your small-screen previews, and with Apple Watch about to launch in Australia, Canada, China, France, Germany, Hong Kong, Japan, the UK and the US this Friday, it looks like the final preparations have been made in advance of its release. If you have already pre-ordered, there’s a good chance that your Apple Watch will be on its way to your postal address, although given the sheer volume of customers that Apple has to deal with, it you may yet have to wait a bit longer. By checking the status of your order, it should say “preparing for shipment” if it’s on its way, and it’s likely that your bank account will also be sporting an Apple Watch-shaped hole. If it’s still listed as “pending”, then unfortunately, you’ll probably have to wait beyond the initial shipment wave, but if the iPhone 6 launch is anything to go by, Apple will strive to get devices on wrists as soon as possible. 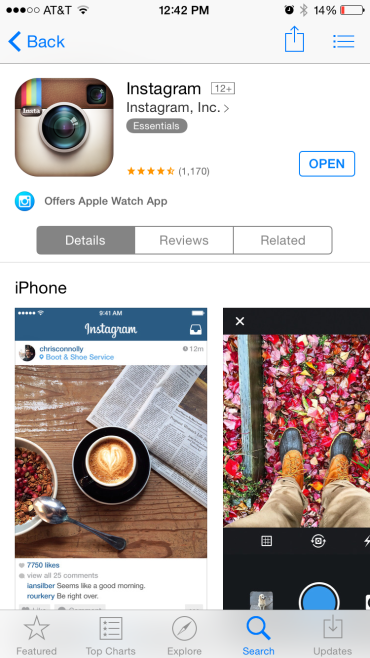 If you want to have a look for yourself, then you can go to the Apple Watch companion app and you should be redirected to the Apple Watch App Store through there. So long as you are running iOS 8.2 or higher, you’ll probably be good to go, although some users are reporting that they cannot see the new store just yet.